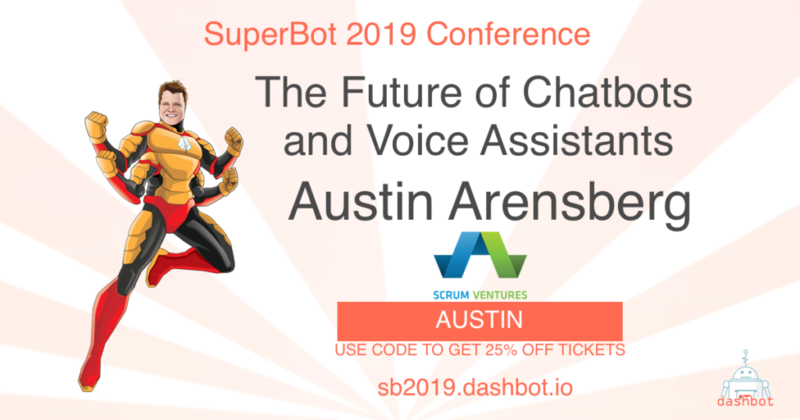 Scrum Ventures Principal Austin Arensberg is coming to SuperBot 2019 to discuss the landscape of conversational AI and why he thinks it’s an industry worth investing in. Austin Arensberg is currently Principal at Scrum Ventures, an early stage venture capital firm based in San Francisco, California that has invested in over 60 startups related to e-commerce, healthcare, software, video, and transportation. Prior to joining Scrum Ventures, Austin served as a manager in Samsung’s Global Strategy Group in Seoul, Korea where his work focused on electric vehicles, energy storage, corporate restructuring, and research and development. Austin’s previous professional experience included serving as M&A manager at PTT (the national oil company of Thailand) and Business Development Manager of Nollen Group, a renewable energy fund. Austin has been published by the Global Private Equity Initiative for his research on private equity fund management and has served as a clean energy advisor for USAID. Austin is a grantee of the U.S. National Science Foundation, a former Princeton in Asia Fellow, and a graduate of INSEAD Business School. Austin also serves as a Mentor with the Venture for America Program.